Improving Home Exteriors: Why Choose James Hardie® Siding? Next to the roof, your siding is one of the things that people notice when they’re looking at your home. If you don’t maintain or replace it regularly, your home will look old and unappealing. This can be a problem if you plan to resell the property. Don’t worry – if you want to bring back the appeal of your home, you can start by replacing that old siding. But, what material do you choose? Your trusted siding contractor, The Carpenter’s Touch, recommends James Hardie® siding for your exteriors. Discover why this siding brand is one of the best options for improving the exteriors of your home. Your siding is exposed to harsh weather conditions, such as rain, snow and heat. The change of seasons can also take its toll on your siding. If you’re looking for a replacement siding, choose a material that can withstand harsh outdoor conditions and maintain your exterior’s beauty for a long time. This is exactly what you’ll get with James Hardie siding. This type of siding is engineered and tested to better withstand climate conditions. Experts have studied the effects of climate on siding. 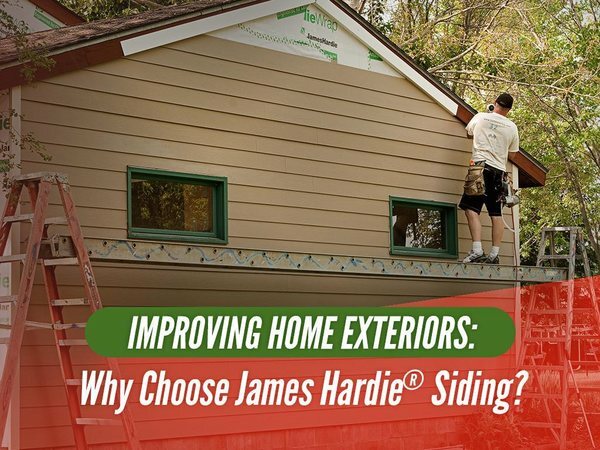 From their research, they were able to create the HardieZone® system for James Hardie siding materials. This allows you to choose the right materials based on the climate condition of your home’s location. When it comes to fire protection, James Hardie siding has you covered. Unlike wooden siding, this material doesn’t easily ignite when exposed to fire. Flames also cannot easily penetrate it as James Hardie siding is made of non-combustible materials. Due to this benefit, many insurance providers favor homes that have this siding. If you need more information about James Hardie siding, your local vinyl siding contractor from The Carpenter’s Touch will be more than glad to provide it. Call us at (973) 692-7779, or fill out our contact form for further assistance. We serve clients in Morristown, NJ, and nearby areas.